This page summarizes the new features added in ConVirt Enterprise 2.1 release. 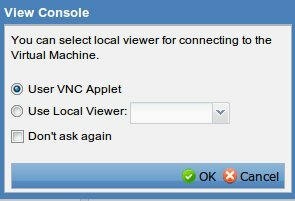 This enhancement allows the user to remember the preference for either using the Applet or the external command for viewing the virtual machine console. It removes the annoying selection dialog every time you view the console. The selection is stored in cookies, so in order for you to bring the dialog box again, you will need to clear the cookies for the site. Here is the screenshot with "Don't Ask Again" check box. 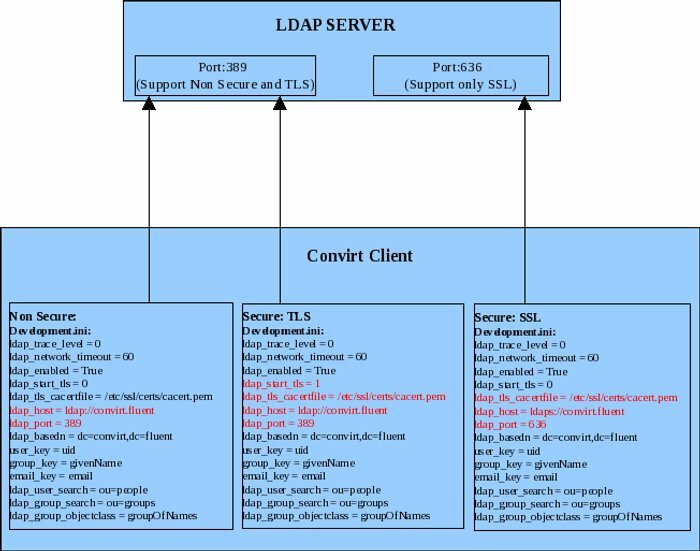 Starting 2.1, secured LDAP configurations can be used along with ConVirt. Here are details on how to configure. This release also includes fixes for critical bugs and performance issues encountered in large customer and user community deployments.